As long-time Cleveland 3PL providers, the On Time Delivery & Warehouse team is trained to quickly spot any hint of a supply chain weakness so we can either address it fast or – better yet – avoid it altogether. That keeps our partners from losing profits, customers and investor faith. 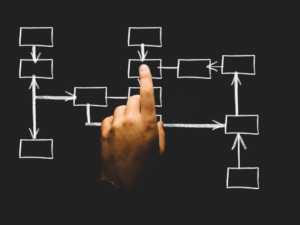 A single supply chain weakness has the potential to stymie productivity, spike company costs and hamper a business’s ability to deliver quality. 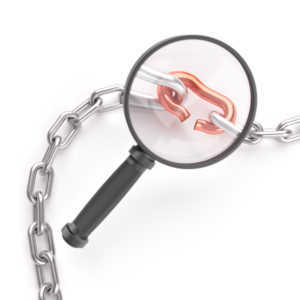 In recent years, there have been numerous instances wherein a supply chain weakness forced a business to close its doors – temporarily or permanently – or curtailed its ability to offer key products. Worse, those failures made big headlines. Perhaps the most significant moment in any supply chain is the one in which the goods reach their final destination. Cleveland last-mile delivery services providers know creation of a stellar product isn’t going to mean much if the correct one doesn’t make it – on time and intact – to the customer. On Time Delivery & Warehouse is one of the most trusted names in Cleveland last-mile delivery service precisely because we’ve made this such a top priority. It’s literally part of our corporate identity, and we use the latest technology in order to ensure last mile delivery services in Northeast Ohio that meet or exceed the expectations of your customers. One of the reasons we’ve been able to serve this need so well amid the constant, frenetic pace of e-commerce growth is that in addition to our expansive networks for shipping, freight, trucking and warehousing, we’re also centrally-located for many supply chains near a Midwest urban center. 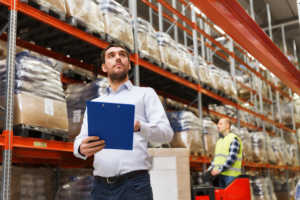 A recent report issued by industrial researchers in Chicago noted that while there is rarely a one-size-fits-all approach to urban warehousing in logistics, companies are increasingly relying on third-party firms that already have an integrated network of functional last-mile delivery centers, boots-on-the ground services and practical knowledge of issues likely to arise. Our understanding of the unique challenges and opportunities within this Northeast Ohio community uniquely positions us as a dedicated 3PL, poised to carve out competitive advantages for our Cleveland last-mile delivery services customers. As long-time Ohio 3PL supply chain managers, On Time Delivery & Warehouse is in the business of helping clients navigate everything from minor quirks of tricky logistics to major, unexpected supply disruptions and market changes. 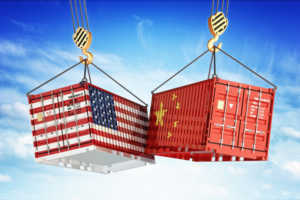 The U.S. federal shutdown that began Dec. 21st has the potential to threaten supply chains – in the U.S. and globally – on several fronts as the political gridlock drags on, especially if both sides dig in their heels for weeks or months, as the president has said might happen. If you think government employees and a few federal contractors are the only ones impacted by a government shutdown – think again. 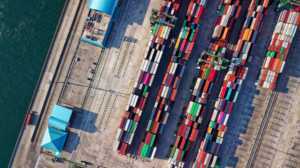 Federal motor carriers, freight shipping carriers and agricultural suppliers are just a few examples of entities our Ohio 3PL supply chain managers know can be squeezed when official stalemates stretch on. Sparring and posturing in D.C. and between U.S. and international leadership are often regrettable but inevitable realities. Resolution of those issues is slightly above our pay grade, but what our Ohio 3PL providers can do is help our clients be prepared as possible. We may not know when this government shutdown will end or if/when there will be another. We do know these issues have a way of cropping up again and again. When they do, we’ll be ready. We have a long list of contingency plans that include alternative suppliers, routes, transport methods and storage facility options that we can deploy at a moment’s notice. This helps our clients keep their goods and services moving and minimize losses, even if they can’t be avoided altogether. Cleveland warehousing, distribution and fulfillment centers are grappling with a worsening labor shortage, some struggling to meet rising demands fueled in significant part by e-commerce. Nationally, it’s been a challenge that has businesses looking to launch or expand warehousing operations considering not just large consumer concentrations but an ample supply of qualified workers as well. 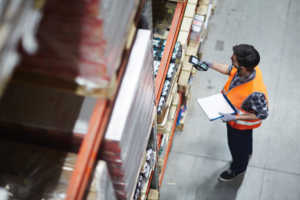 CBRE, a commercial real estate and research firm, released recent analysis revealing the need nationally for an additional 226,000 warehouse workers this year and the same in 2019. That’s a 25 percent spike in the five-year annual average. Low unemployment is complicating matters. A smaller labor pool is smaller means higher wages. Companies shopping Cleveland warehousing options soon learn this is a dynamic but mature market. Often, costs are more manageable when they team with an established Northeast Ohio third-party logistics firm. 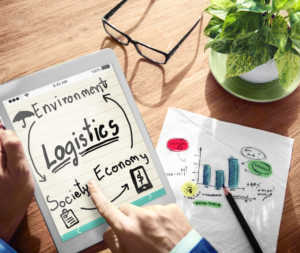 Sustainability has become a hot topic in Northeast Ohio supply chain management circles, especially as scientific projections on impacts of climate change become increasingly urgent. As long-time Cleveland 3PL providers integral to Midwest supply chains, On Time Delivery & Warehouse managers know there is much evidence to support the assertion that companies committed to greener, more sustainable supply chains help guard against numerous financial, reputational and legal supply chain risks.